For more information on the growing and care of Buddleia, click on Growing Guide. Every state has agricultural regulations that restrict the shipment of certain plants. We're sorry, but we cannot ship this item to the following states: WASHINGTON, OREGON. Buddleia davidii and its hybrids are fountain-shaped deciduous shrubs that produce long panicles of tiny, fragrant flowers in summer. The common name, Butterfly Bush, is inspired by the flocks of butterflies drawn to the flowers. Plants often blossom the first year after planting. Heights vary with varieties, from 4–7′. Buddleia is at its best in full sun and moist but well-drained soil. 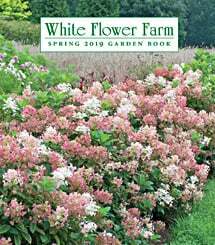 Plants flower on the current season's growth, and bloom more profusely if stems are pruned back to 12–24″ as new shoots emerge in spring. In cold-winter climates such as ours in Connecticut, plants often die back almost to the ground; simply remove the deadwood in spring. Plants regrow vigorously and produce a spectacular show in summer, even from such a seemingly unpromising start. Fertilize once a year, in early spring, with a good organic fertilizer. Plants are generally untroubled by pests or diseases.